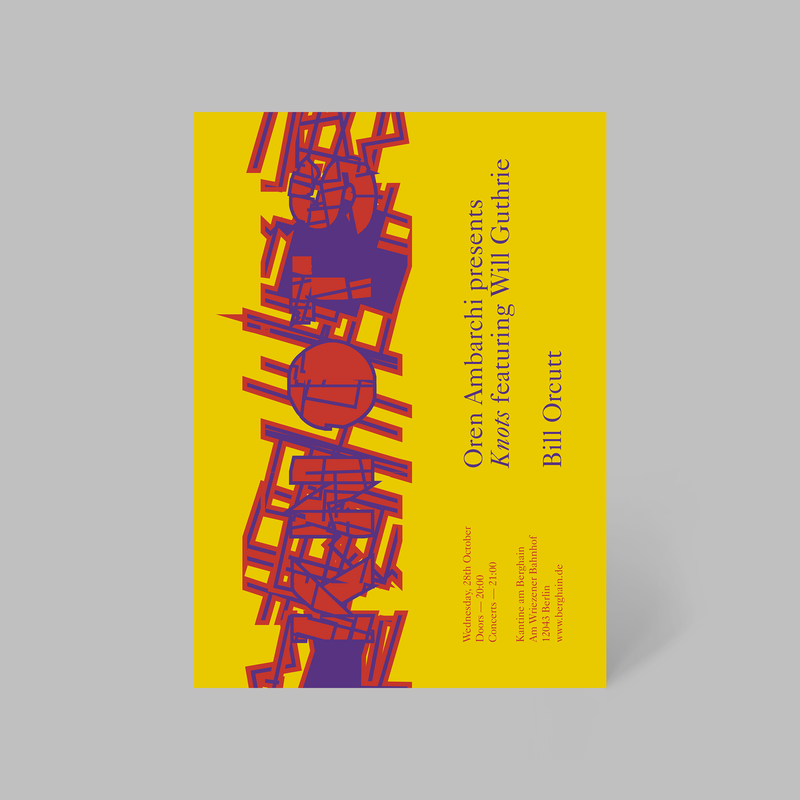 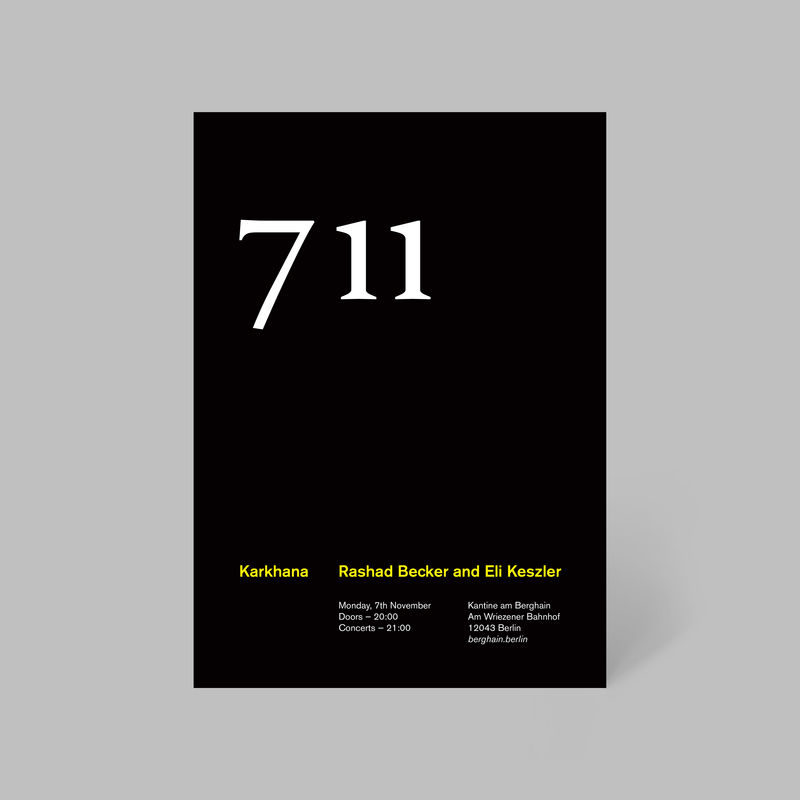 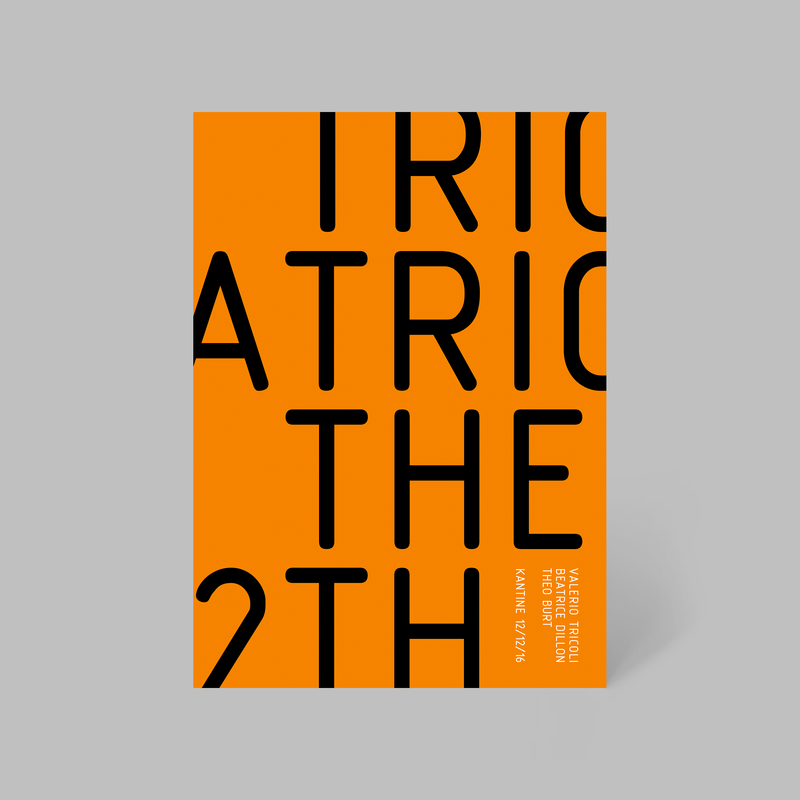 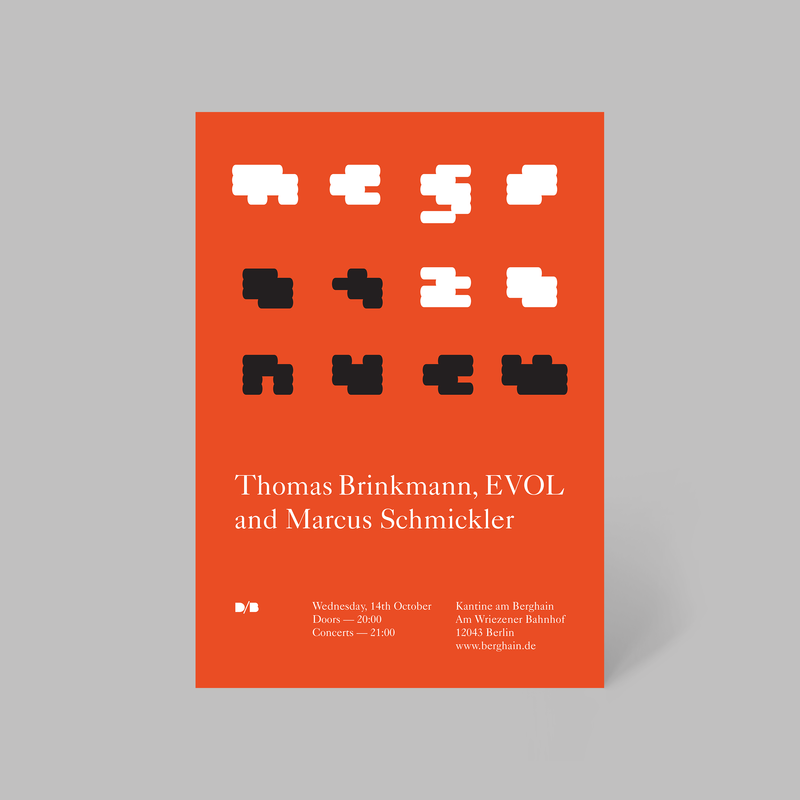 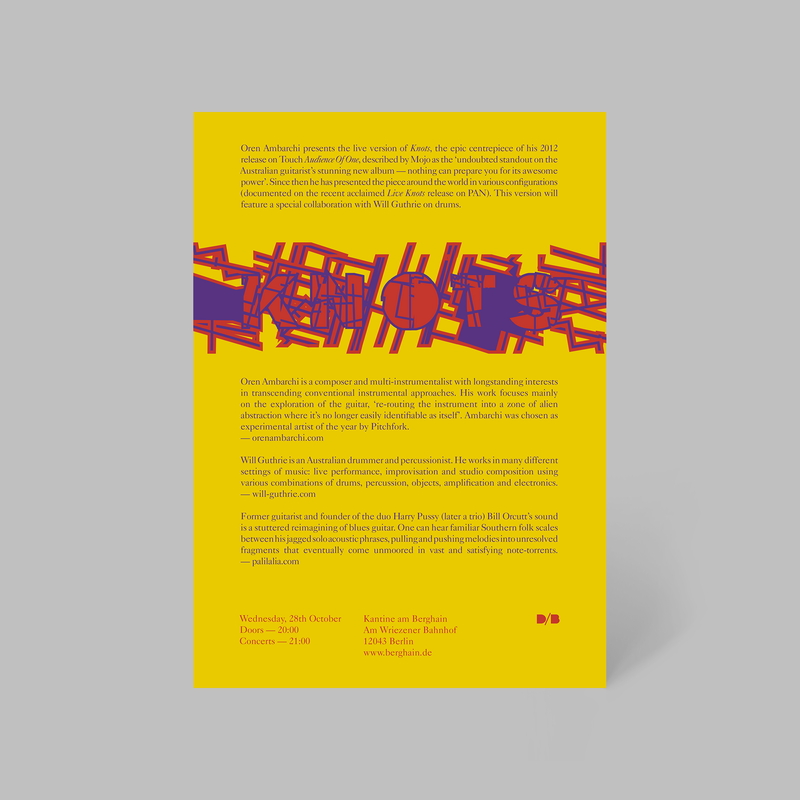 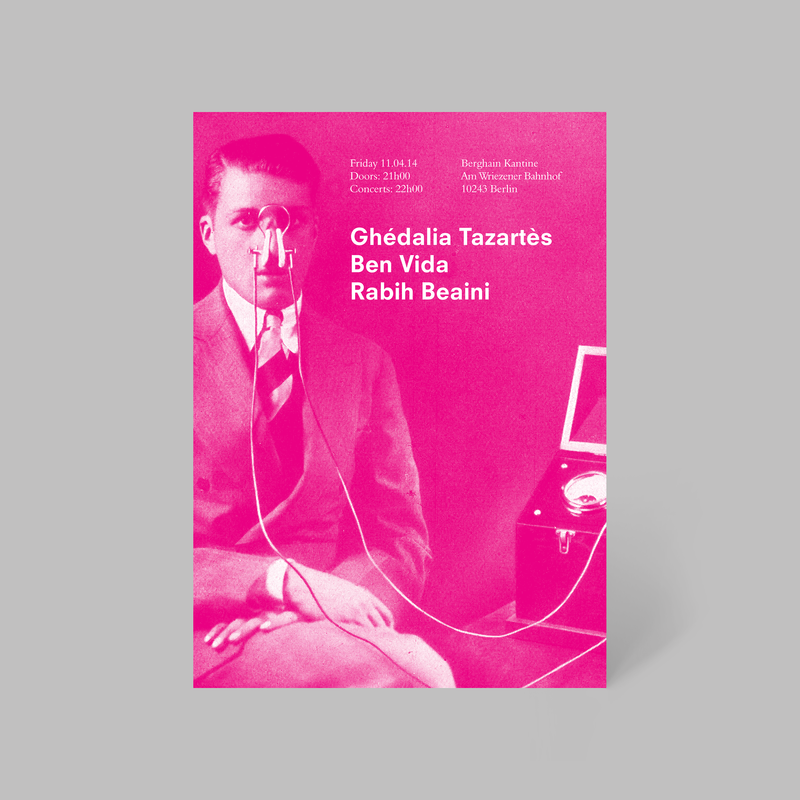 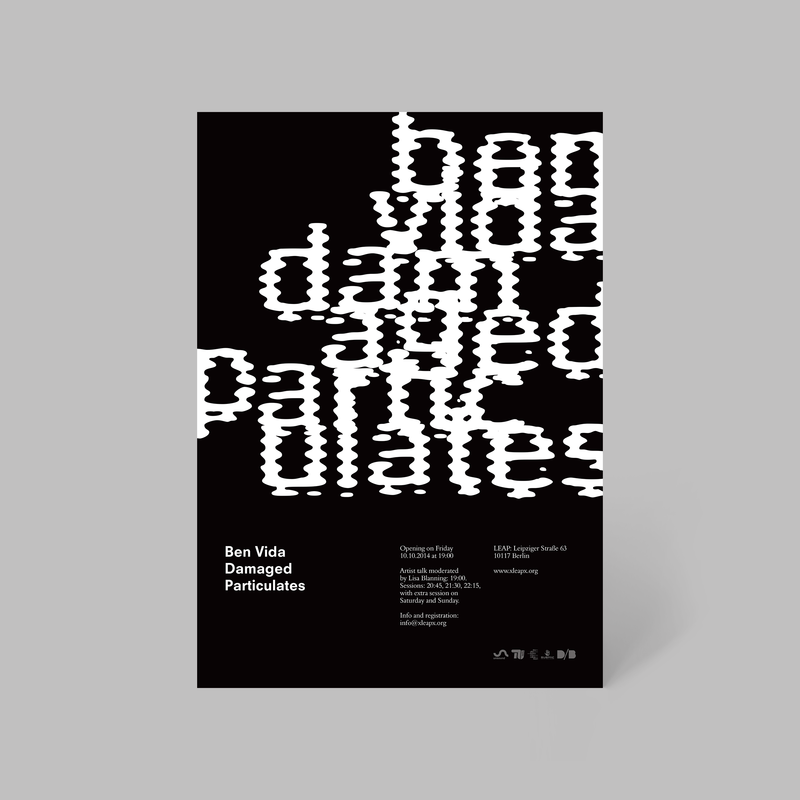 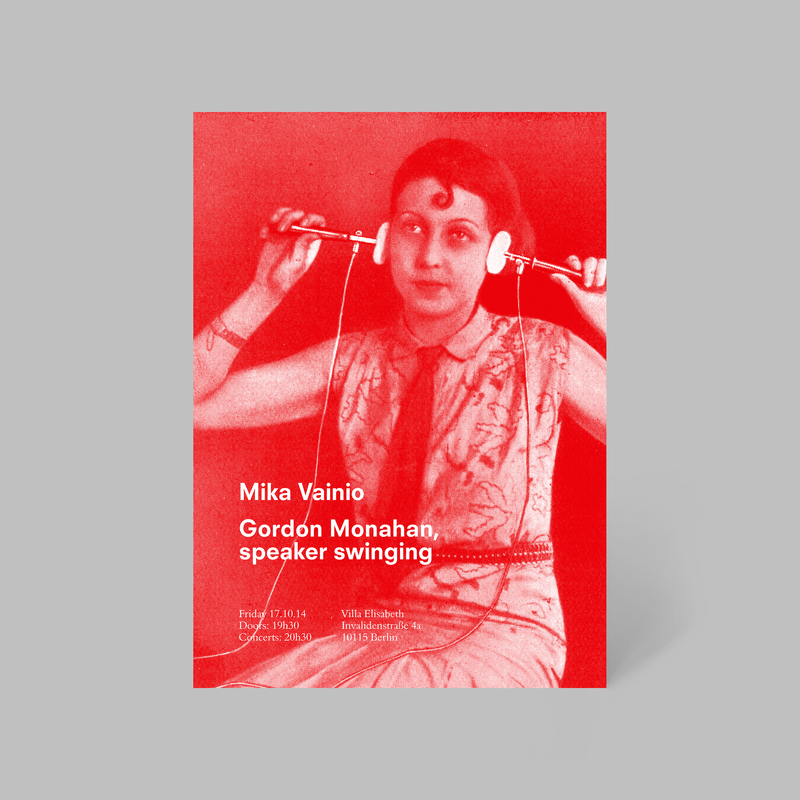 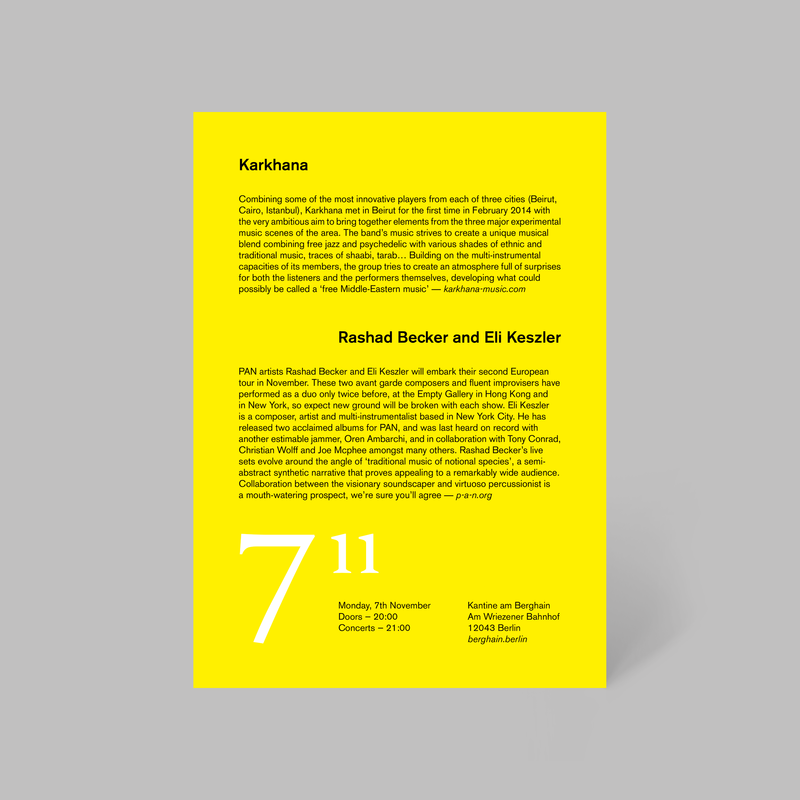 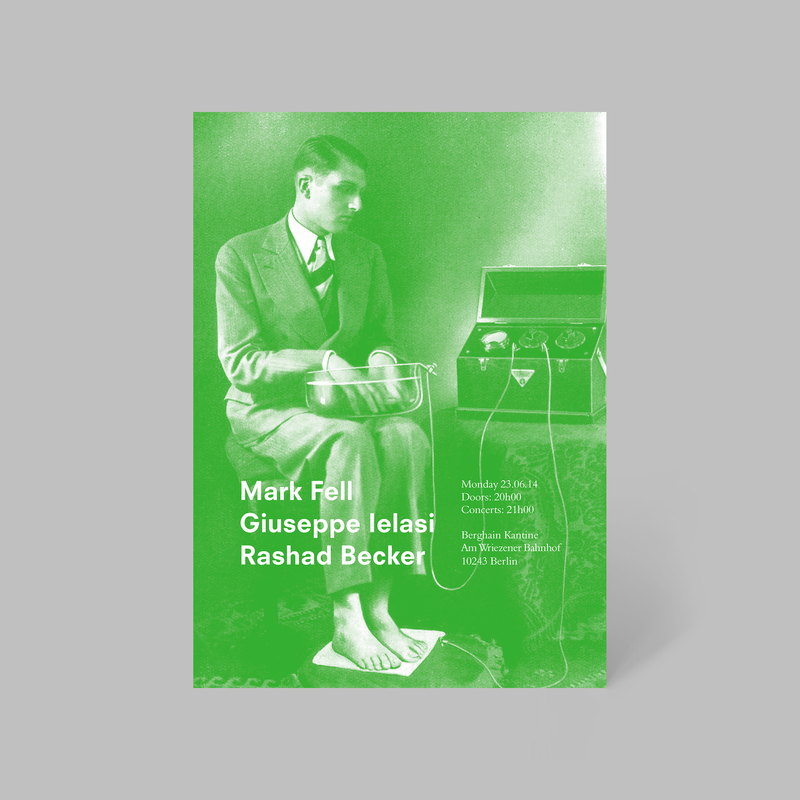 I designed flyers and posters for series of concerts produced by Berlin-based curator and promoter of experimental music events Manuela Benetton, most of which were hosted at Kantine am Berghain. 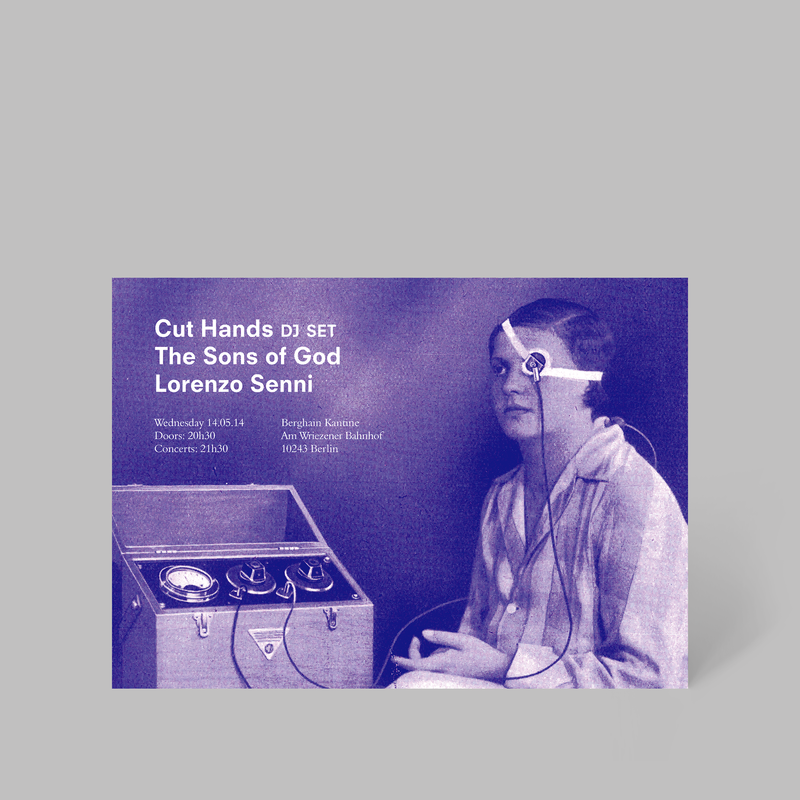 Earlier designs in the series featured imagery taken from a late-1800s German medical textbook, depicting electrotherapy being administered to patients, which seemed to work well with the music Manuela was presenting. 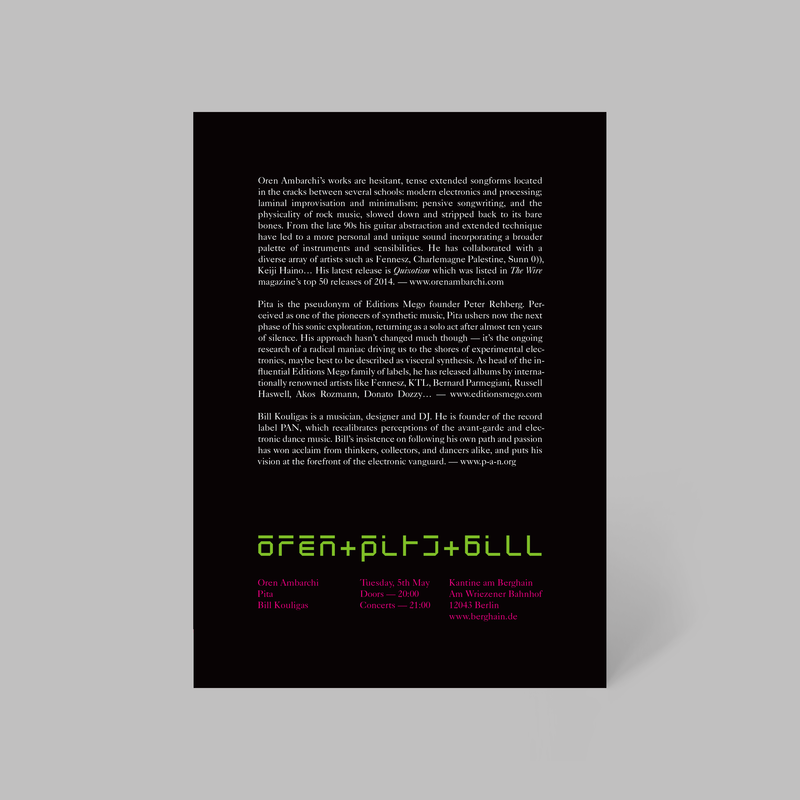 Later in the series I used type only. 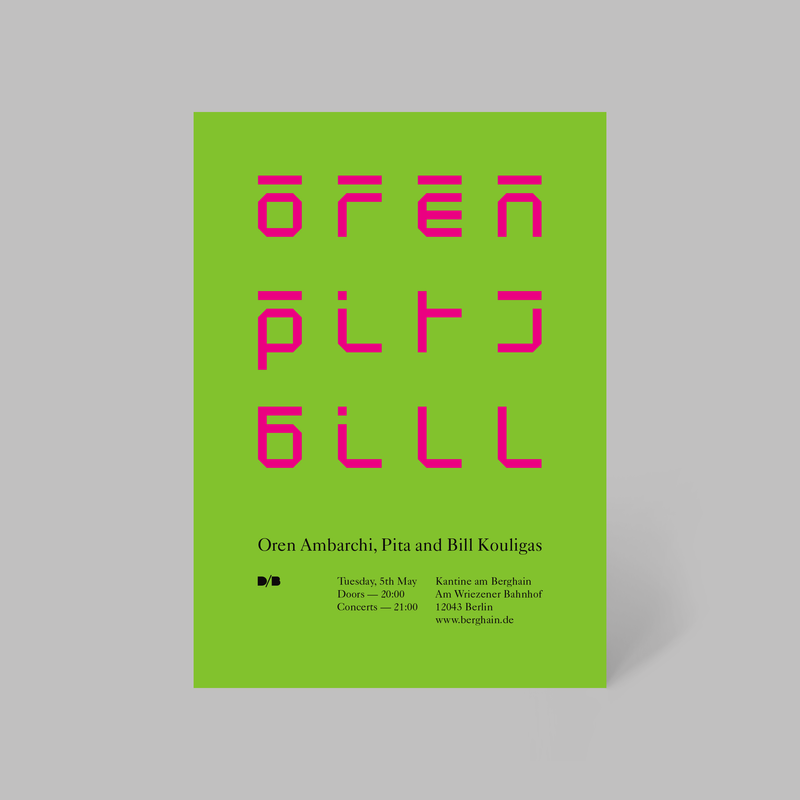 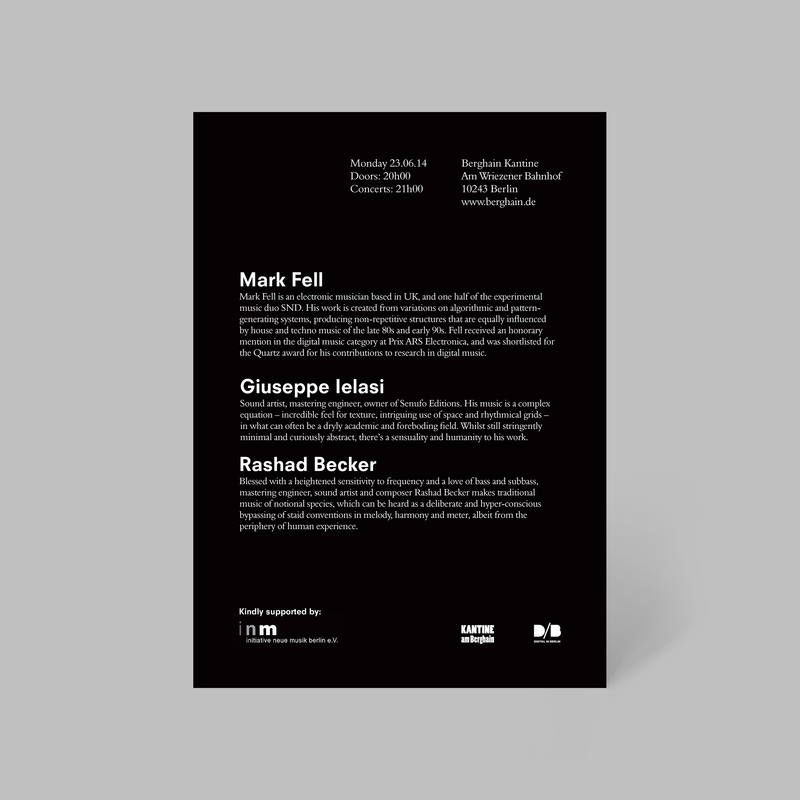 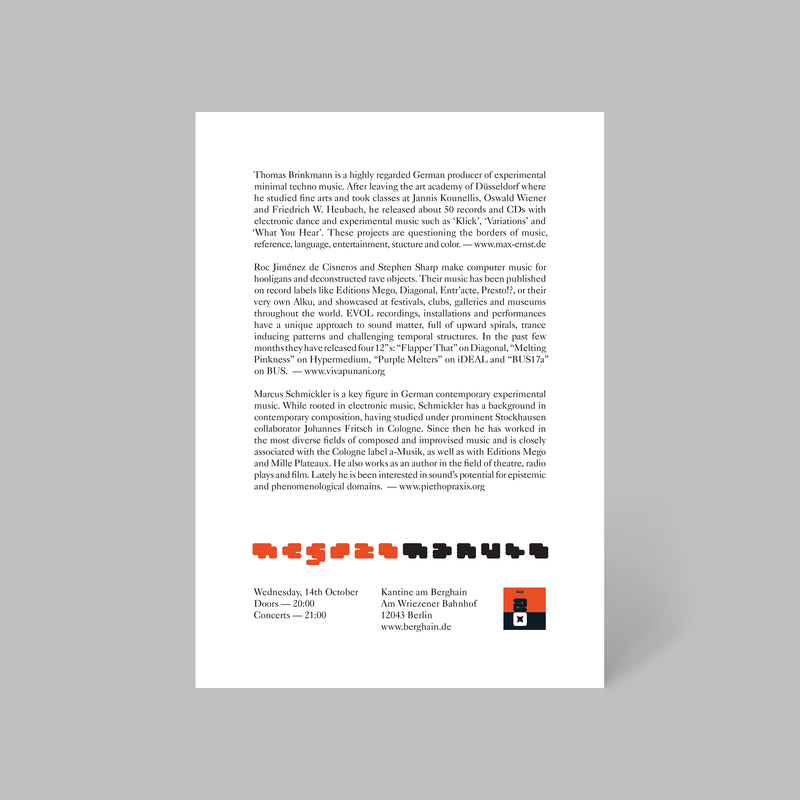 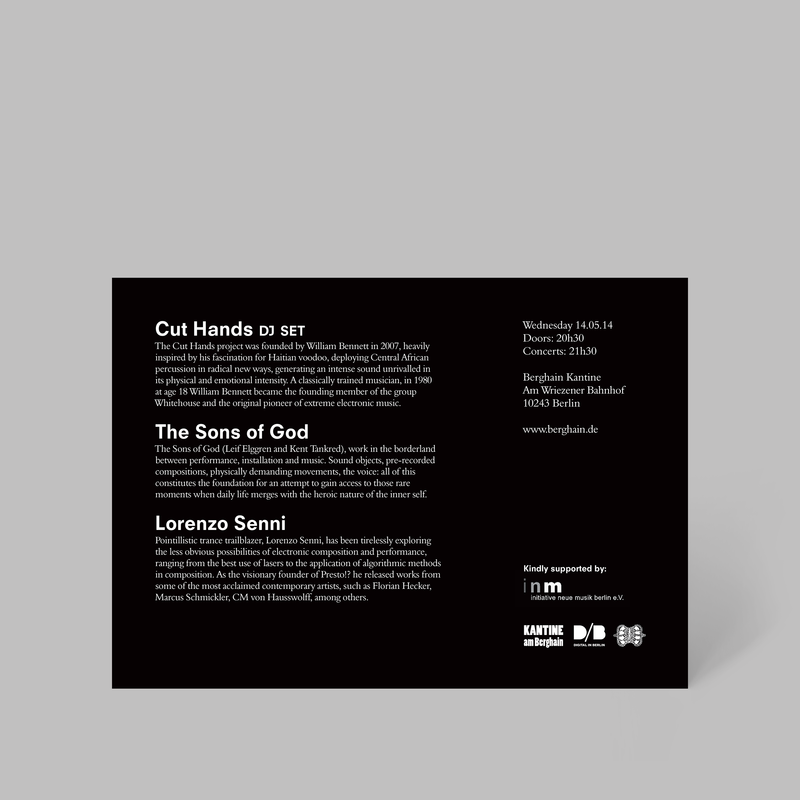 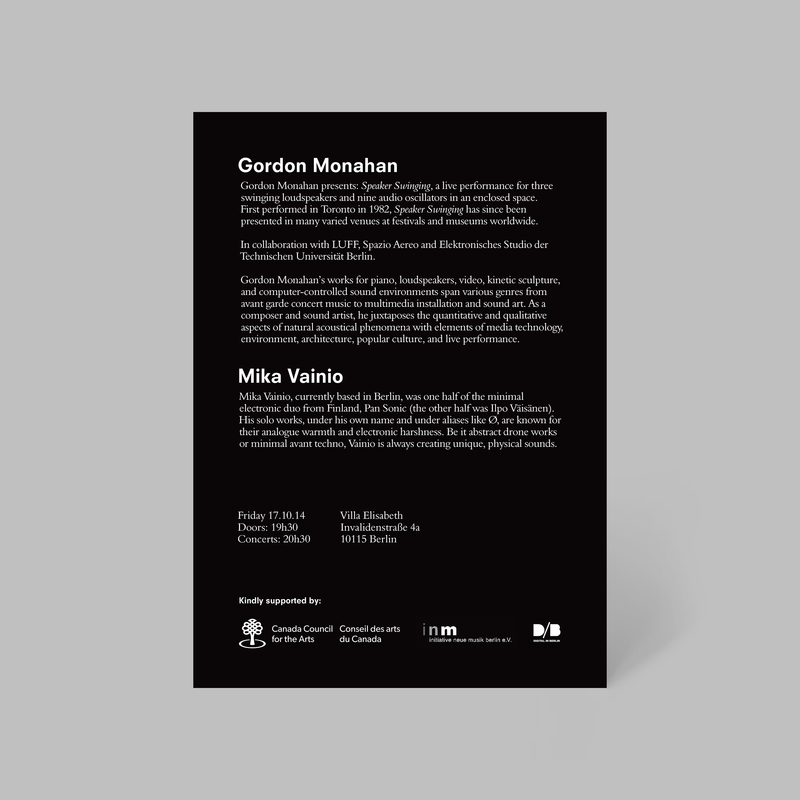 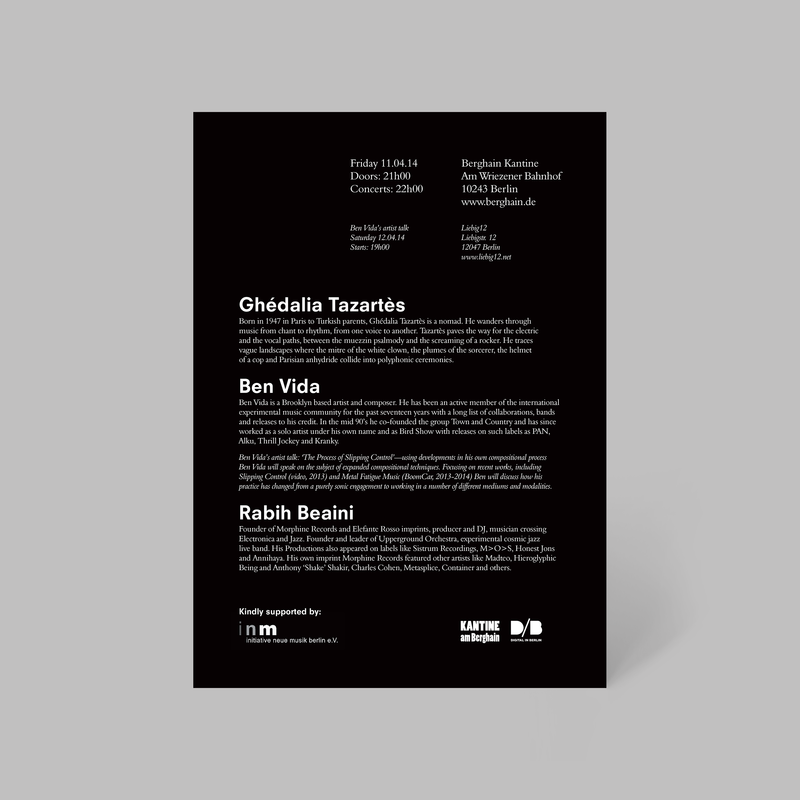 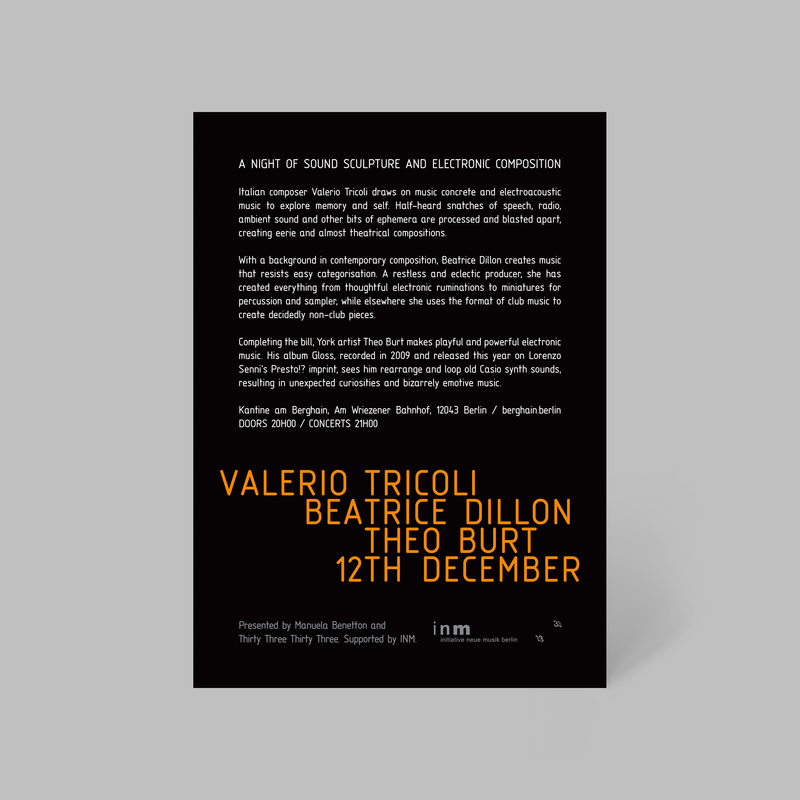 The A5 flyers proved quite popular, in no small part because of Manuela’s decision to include mini-biographies of the artists involved on the reverse of each.